LNG trade represented around 320 bcm, or 9% of global gas demand in 2012. (source : International Energy Agency). Where pumping gas to shore can be prohibitively expensive, FLNG makes development economically viable. As a result, it will open up new business opportunities for countries to develop offshore gas fields that would otherwise remain stranded, such as those off the coasts of Africa (source : Visiongain). 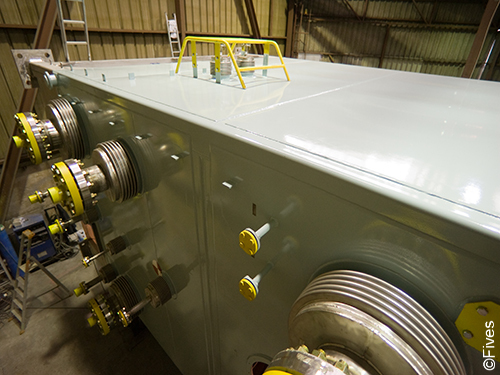 The natural gas liquefaction processes used in FLNG involve cryogenic refrigeration cycles, requiring compact and light heat transfer equipment. 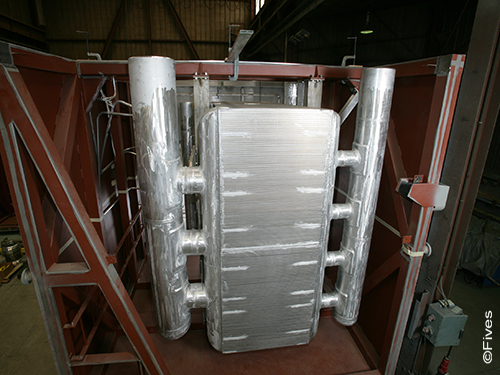 Brazed aluminium heat exchangers (BAHX) and associated cold boxes are ideal for this purpose. 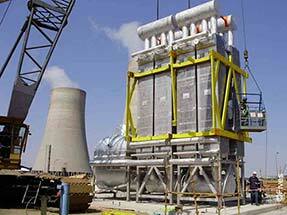 Fives is renowned for its experience in offshore LNG units worldwide. 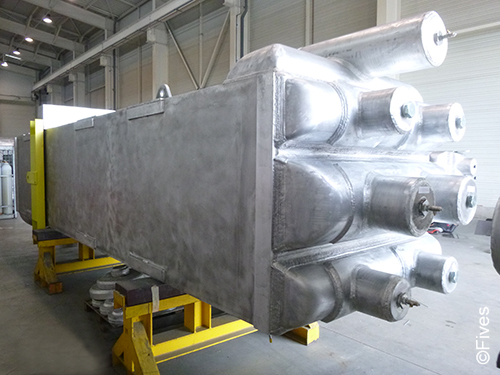 Within its Cryogenics | Energy business line, Fives provides brazed heat exchangers which combine compactness and lightness - two crucial criteria for vessels, in order to optimize footprint and weight. 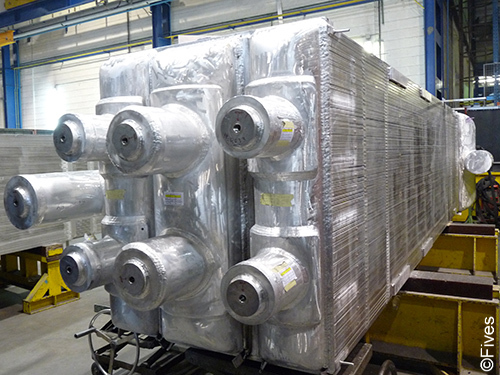 Thanks to its experience in Natural Gas Re-liquefaction, Fives has been selected as the leading supplier of brazed aluminium heat exchangers (BAHX) and cold boxes by major actors in the newly developed FLNG sector.